Noah Testone plants flowers with other children near the old Amphitheater on Arlington National Cemetery, Arlington, Va., today. 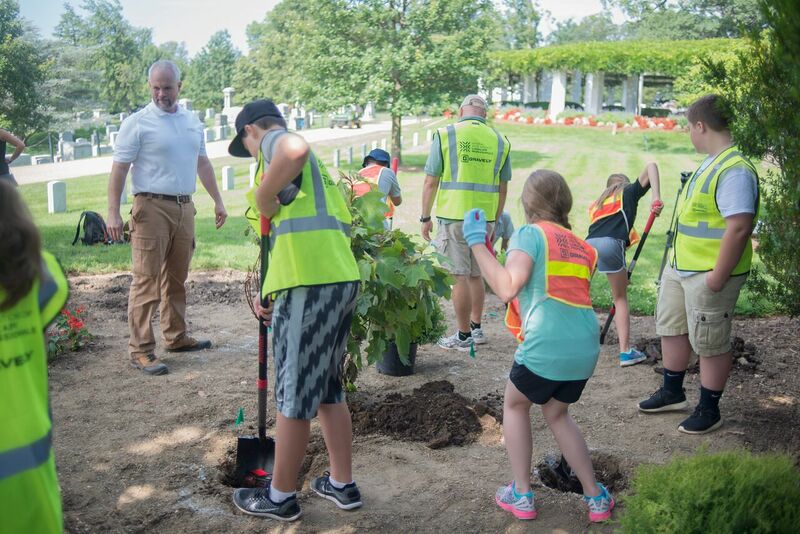 The 10-year-old boy from Liberty Hill, Texas, is one of many National Association of Landscape Professionals who volunteered for the Renewal & Remembrance to give back to those who gave all. More than 400 National Association of Landscape Professionals gathered at the old Amphitheater on Arlington National Cemetery, Arlington, Va., today, for the 19th Annual Renewal & Remembrance opening ceremony prior to taking part in helping clean up the cemetery grounds. 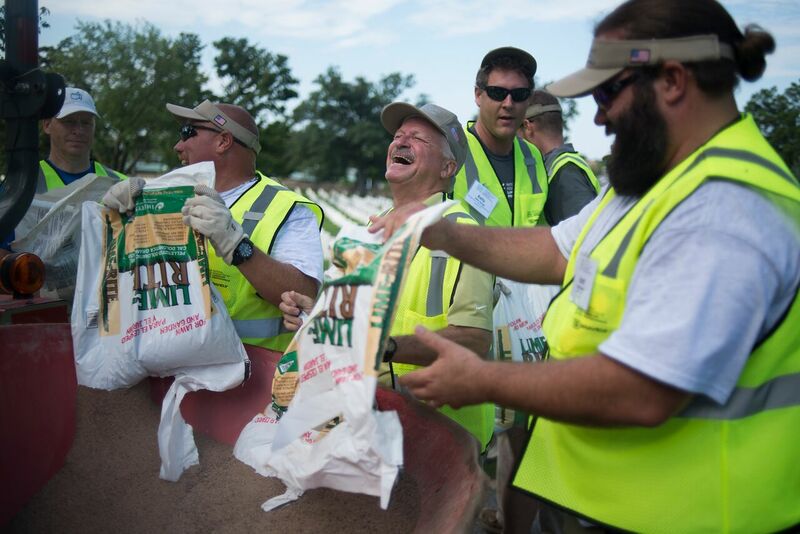 National Association of Landscape Professionals pour Lime Rite fertilizer in a tractor dispenser to spread in section 18 of Arlington National Cemetery, Arlington, Va., today. More than 400 men, women and children gathered for the 19th Annual Renewal and Remembrance to give back to those who gave all. 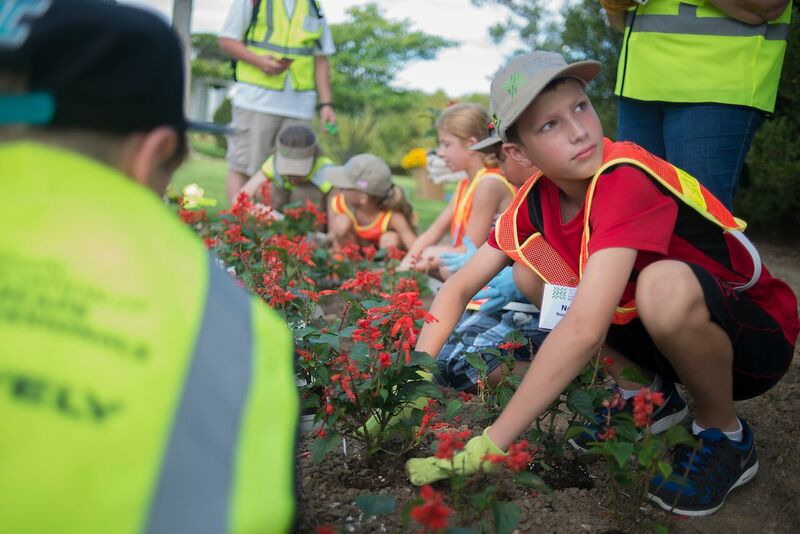 Children volunteering with the National Association of Landscape Professionals plants flowers near the old Amphitheater on Arlington National Cemetery, Arlington, Va., today. More than 400 men, women and children volunteered for the Renewal & Remembrance to give back to those who gave all. 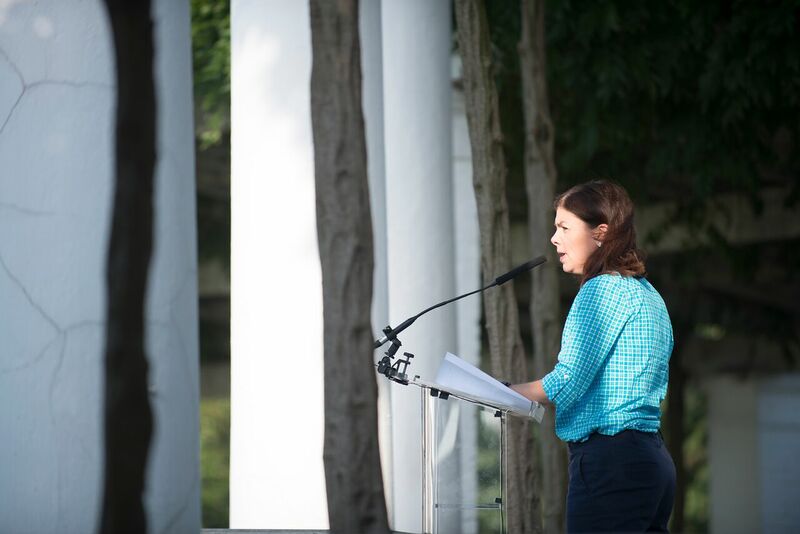 Senator Kelly Ayotte (New Hampshire) delivers the keynote address at the National Association of Landscape Professionals Renewal & Remembrance today at Arlington National Cemetery, Arlington, Va., today. More than 400 men, women and children were in attendance to volunteer for the cause. 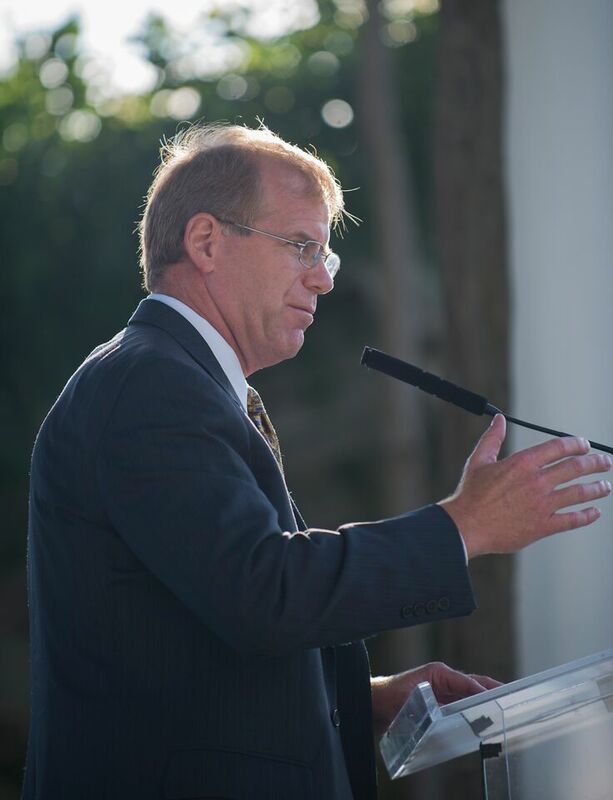 Doug Black, John Deere Landscapes chief executive officer., delivers the dedication of work at the National Association of Landscape Professionals Renewal & Remembrance today at Arlington National Cemetery, Arlington, Va., today. More than 400 men, women and children were in attendance to volunteer for the cause. 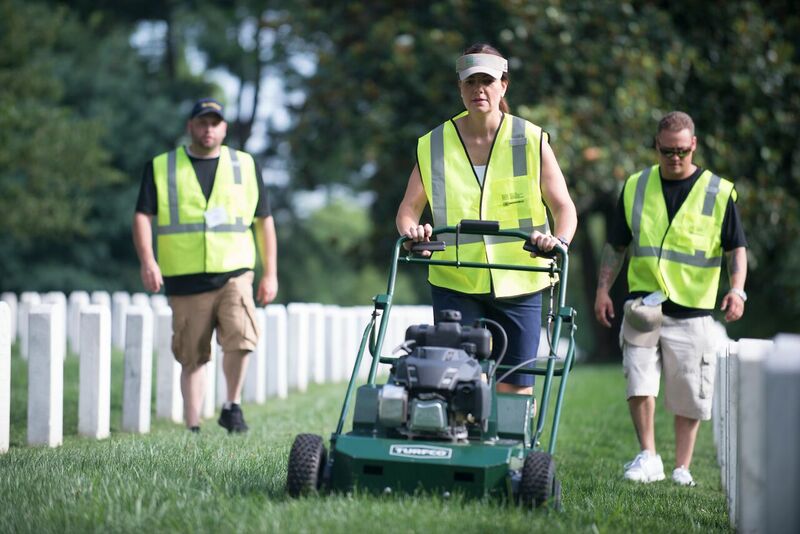 Senator Kelly Ayotte (New Hampshire) cuts grass at the National Association of Landscape Professionals Renewal & Remembrance today at Arlington National Cemetery, Arlington, Va., today. More than 400 men, women and children were in attendance to volunteer for the cause.